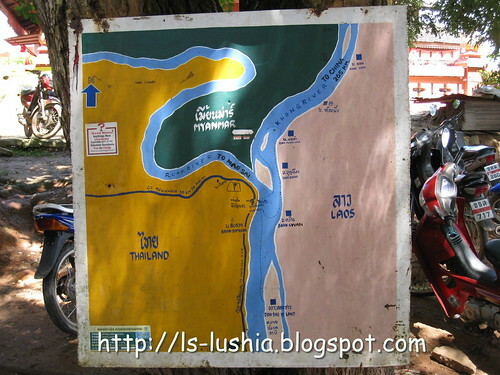 Lushia's Food Blog: Chiang Mai Trip to Laos- right across the river! Chiang Mai Trip to Laos- right across the river! 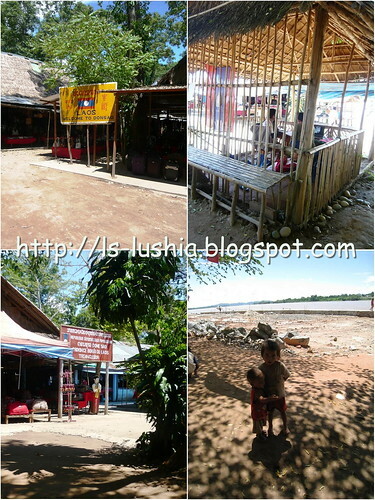 After lunch at on of the local restaurant situated along Mekong River, we headed to Chiang Saen. 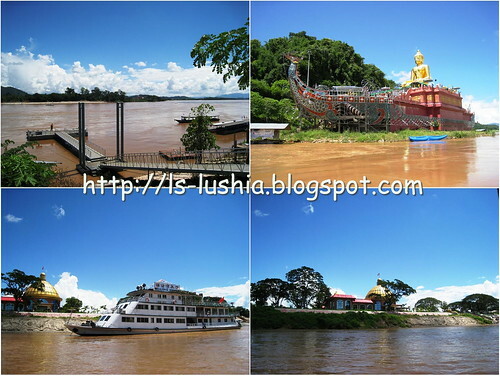 The tour guide informed us that there are optional tours to Laos and Myamar with extra fees to be paid - if we are interested or else we will just take a boat trip along Mekong river without stopping at Laos. We wanted to go for both but the other group prefer travelling back to Chiang Mai for shopping, hence all of us agreed to go for the Laos tour only. A little disappointed, since we were already there, why not??? Well, at least they agreed on the Laos trip! 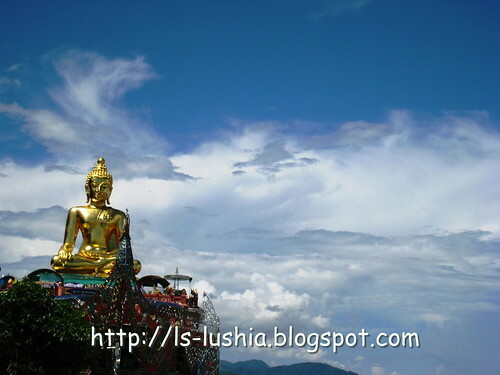 Chiang Saen Buddha - The Golden Buddha sitting on a man made ship- Love this pic! 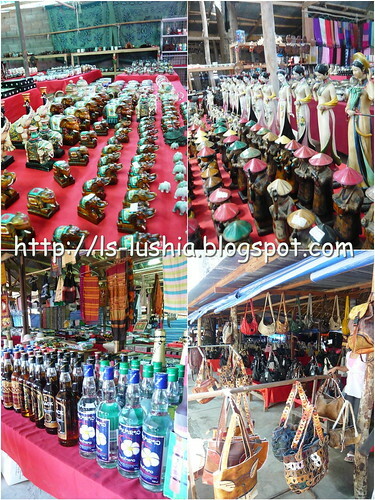 It's a very small village with stalls selling souvenirs; alcohols and cigarettes. Nothing much to see here, had a drink here and walk around - that's it! We spent about an hour here and then headed off to Mae Sai.